How early is too early for chocolate? That’s a trick question – it’s never too early for chocolate! 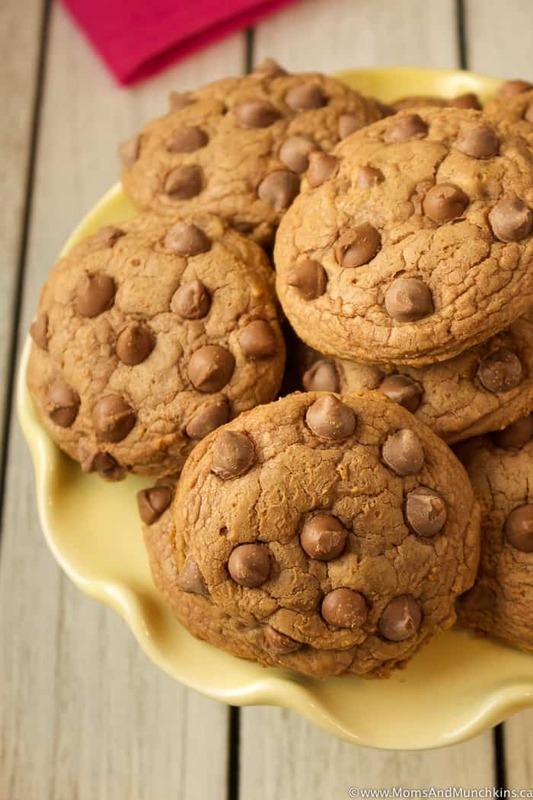 In fact, I think some Milk Chocolate Cookies would be the perfect way to start off your Monday morning. 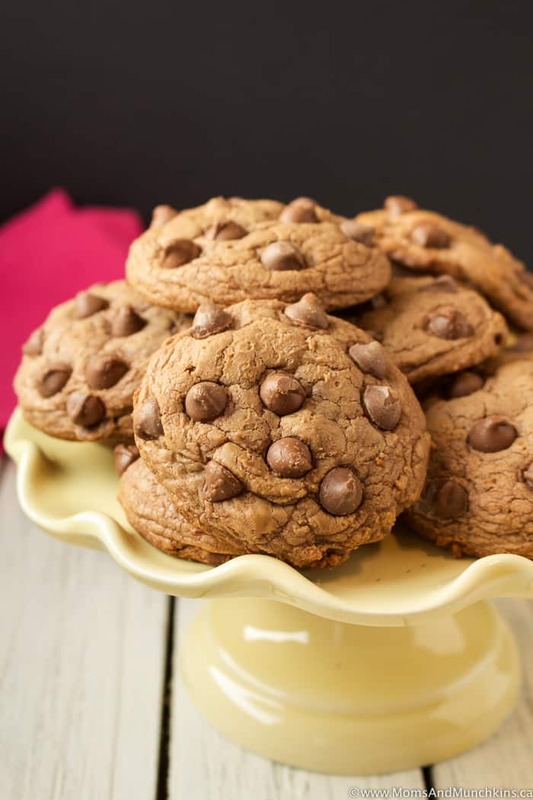 Lucky you, I just happen to have a delicious recipe for milk chocolate cookies here for you! You may already have all the ingredients you need so let’s jump right into the recipe so you can start baking. I always make my cookies on the larger size – about two tablespoons of dough per cookie. If you’re going to restrict yourself by eating just one cookie, let’s make it a big one! This recipe makes about 20 large cookies. 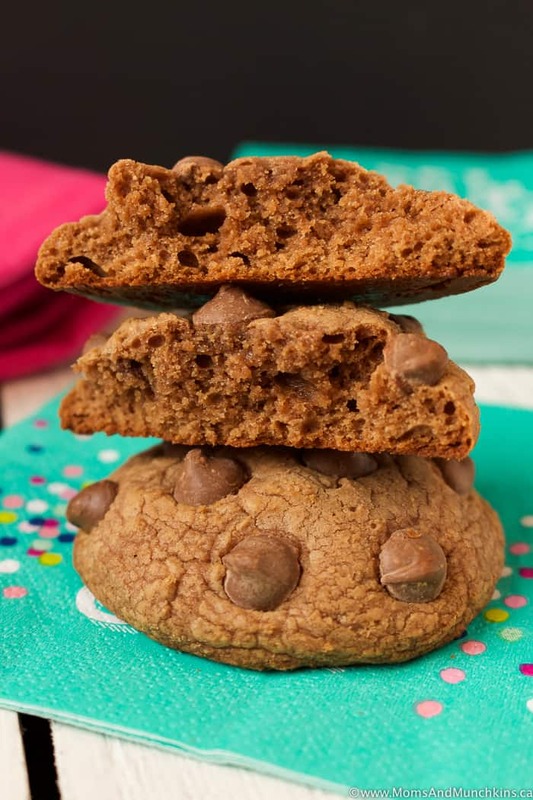 This recipe makes 20 large (two tablespoon size) cookies. In a small bowl, melt 1 cup of the milk chocolate chips with the butter. Melt in microwave removing at 30 second intervals to stir. Heat this up just until melted - you don't want this to be hot. In a large bowl, beat together eggs, brown sugar, and vanilla until creamy and pale in colour (about 3 minutes). Stir the melted chocolate into the egg mixture and stir well to combine. Stir the flour and baking powder into the wet ingredients. Stir just until combined. Stir in ¾ cup of the milk chocolate chips. Place mixing bowl in fridge for 30 minutes to let dough chill and harden. 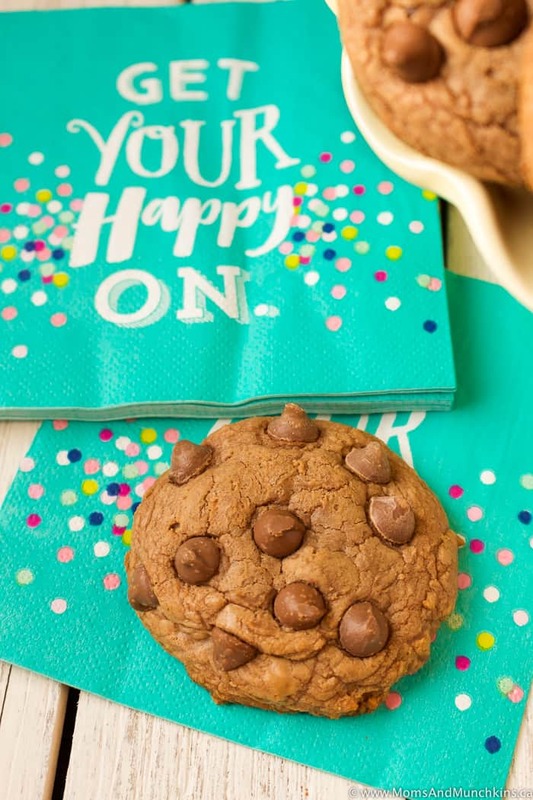 Using a 2-tablespoon cookie scoop, form cookies into balls and place cookie dough balls on a sheet of wax paper on a baking sheet. Take the remaining ¾ cup of chocolate chips and press these into the top of each unbaked cookie. Place cookies in freezer for 20 minutes before baking. Place cookies on a silicone baking mat lined cookie sheet (place cookies about two inches apart from each other) and bake 15-17 minutes. Let cookies cool completely on cookie sheet before removing to cooling rack. Looking for more chocolate cookies? 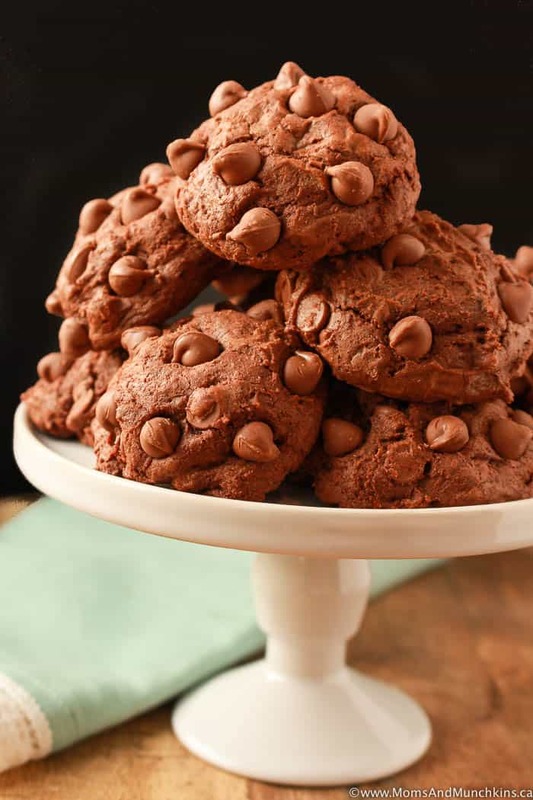 Check out these irresistible Brownie Cookies! For more delicious dessert ideas, visit our Desserts page. Never miss an update by following us on Instagram, Facebook, Twitter and Pinterest.